Located in the heart of the rainforests of Belize, Jaguar Creek gives you a jungle adventure experience like none other. While Belize is known for it’s stunning beaches and diving, it’s less discovered beauty lies in the jungle. 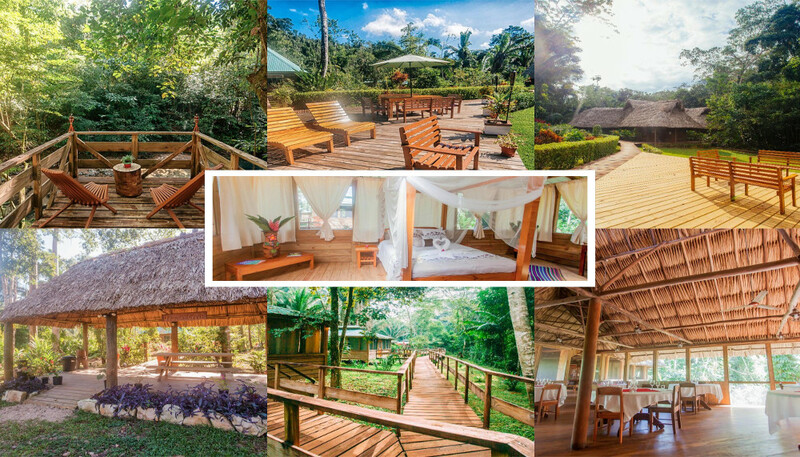 While you’re here, you can stay in a private jungle cabana that offers peace and comfort. With screened in windows that allow for an indoor outdoor experience you can see thousands of trees towering above you on all sides. Our 1700 acre grounds offer views of lush rainforest, a self-guided jungle walk, caves, tropical birds and self guided tours of our cacao plantation. Our full service dining room provides a homemade breakfast each morning, afternoon and evening. Jaguar Creek not only supports local entrepreneurs, limits our environmental impact and develops local talent but we also donate a large percentage of our profits to PathLight International, an innovative non-profit organization that is changing the lives of children, teachers and local communities immediately around Jaguar Creek. For the newlyweds or couples looking for a romantic getaway, our honeymoon suite offers privacy and romantic touches. With eight private cabanas, multiple private family cabanas and a ranch house that sits amongst the garden, this is the unique vacation adventure experience you have been looking for.